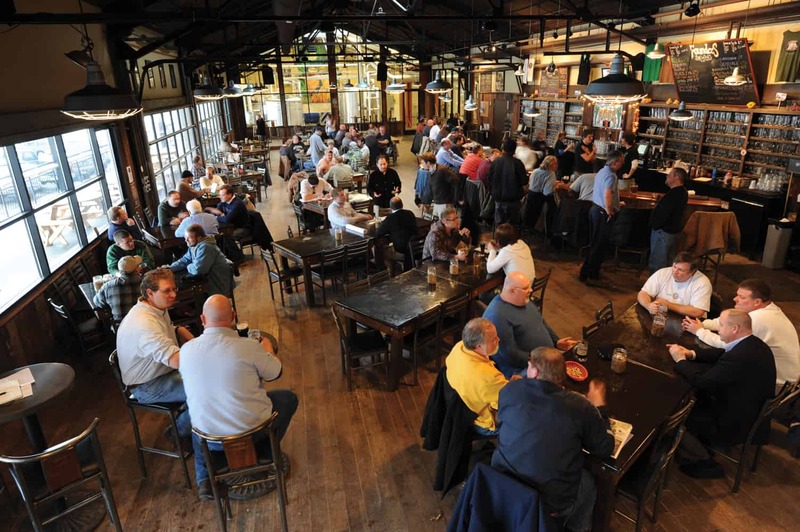 When you walk in the door at Founders Brewing Company, you feel like you belong. There is no dress code. You walk through the tables and down the bar and you see business suits and knit caps. You see families sharing dinner and couples on first dates. Many people, from different walks of life, make up this family and once you are accepted it is a bond that distance itself can not break. Opened by Dave Engbers and Mike Stevens, Founders started making beer in 1997 and opened up the doors to their first Tap Room in August of 1998. They set out to make great beer and they wanted the Tap Room to be representative of the company itself. If you could go back to last year and look at the line-up of wait staff, bartenders, kitchen staff, and barbacks, you would see many of the same faces that work there today. In a world where the turnover rate of food service employees is pretty high, it is nice to see the people with the hardest job in the place wanting to come back every single day. And they let the personality show in the way they treat the customer, old or new. 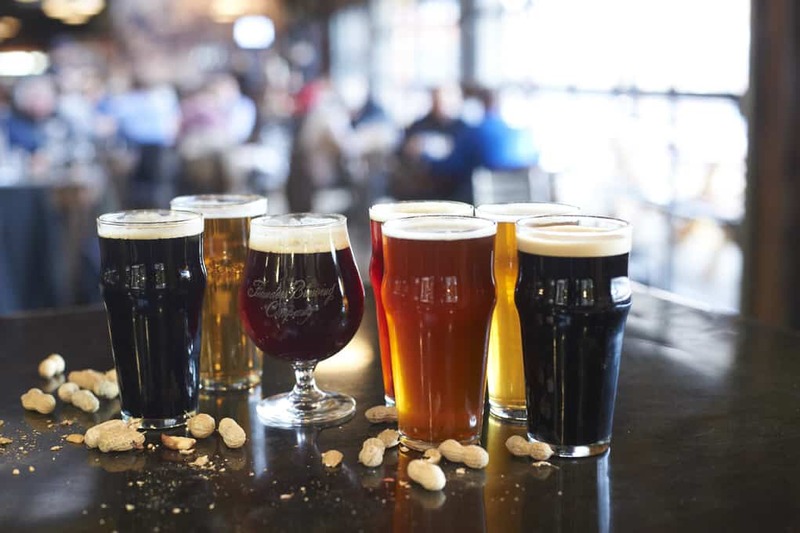 Those who are not familiar with the differences in the types of available beers should feel comfortable questioning the bartender; not only are they a happy bunch, but they are educated about the product as well. One of the things Engbers loves is the randomness of sitting at the bar. When you pull up a chair, you don’t know what type of person you are going to sit next to. He tells me a story about how he knew of just that: a million dollar business owner and a guy who worked on cars who met here randomly, became friends and met every week to share a beer. Founders offers its patrons so much more than just a great pint. With a Mug Club boasting over 1700 members, you know people love coming to Founders for the beer and for the community. Mug Club members at Founders receive a personalized mug, beer specials at every visit, and discounted tickets to select events. If you’re looking to enjoy some tasty beer and great company, head over to Founders. Check out Founders’ Facebook and Twitter pages for the latest updates.